From the back of the book: Kids ask the darndest things....and here are the answers -- all in one helpful book! Anyone who has ever been a kid, raised a kid, or spent any time with kids knows that asking questions is a critical part of growing up. Kids have curious minds and they come up with some very interesting questions. But the truth is adults don't always know the answers. 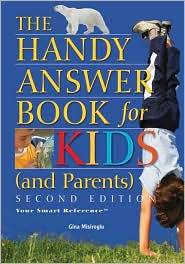 THE HANDY ANSWER BOOK FOF KIDS (AND PARENTS) comes to the rescue. It addresses nearly 800 questions with enough depth and detail to both satisfy the curiosity of persisitent young inquisitors and provide parents with a secure sense of a job well done. Written with a child's imagination in mind, this easy-to-understand book permist kids to help themselves because it's organized by simple topical chapters: Outer Spaces; Planet Earth and Our Moon; Creatures Big and Small; Plant Life; People Around the World; Politics and Government; How Things Work; Math, Measurement and Time; All About My Body; and Daily Life. Each question posed is given a complete and satisfying answer, going beyond "because" and "it just is" and "I don't know." How hard is my skull? (p 197) Basically answered the question to Lady K's contentment. She thought it was pretty cool that enamel on her teeth was harder than any bone in the body. Overall, a five bean review due to the wide variety of questions that can be answered. Makes a person go do some more research for thorough answers if need be, but it helps get the questions and answers flowing between child and parent. I received this from Lisa on OnlinePublicist to review with Lady K. Thank you Lisa!! 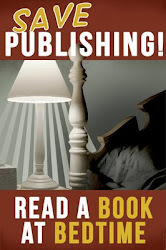 I'll bet this book will come in very handy at your house! It sounds like a wonderful book. Mary: Lady K has been very excited about this book. It's pretty comprehensive.